We get pretty harsh on Lincoln (Lincoln Motor Company, forgive me) these days because of their laughable ad campaigns and insipid product range of late. But in the 1930s they were remarkably good, and the 1939 Zephyr represents just how good things got. The people over at Barn Finds spotted this Zephyr for sale on eBay by a Massachusetts seller who claims it's an all-original 12-cylinder example with fewer than 25,000 miles. It has numerous nicks and scrapes, but it's never been restored or altered from the way it was made about 74 years ago. 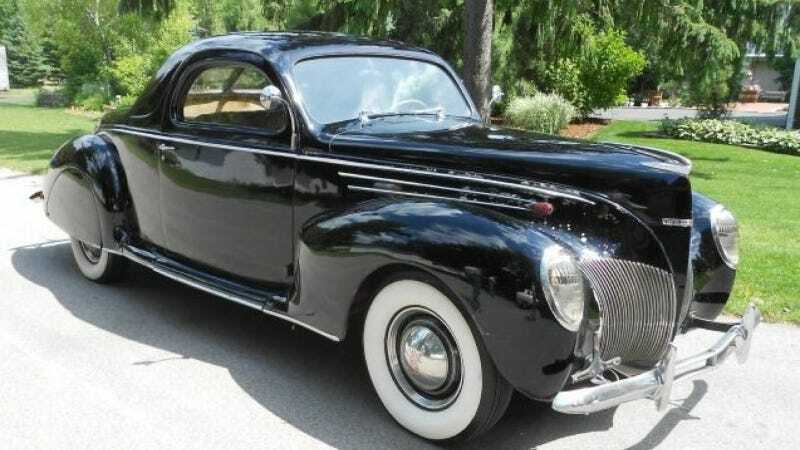 The three-window Zephyr coupe as it's known was the brainchild of Edsel Ford and his assignment put down by his father to give the Lincoln brand some life, as it was always an also-ran to luxury rivals Packard and Cadillac. Edsel hired a designer, Bob Gregorie, to turn Lincolns into desirable cars for people who still managed to have plenty of money in the Great Depression. It was sleek when cars were still huge upright things, and it had a reasonably advanced and compact V12 engine. Perhaps the biggest thing going for this Lincoln has going for it is rarity, as the seller claims it's one of just 22 like it left in the world. OK, the interior wasn't much and its single dial in the middle and fabric seats are more evocative of an Austin Mini than a luxury car, but this was still the 1930s. And significantly, it was Lincoln's first big hit and its first successful smaller and fashionable car. The MKZ can only hope for success like this.